Shane Gold Burwick grew up in Encino, CA, enjoying excellent health, a very close family, a love of animals and travel. She graduated Vanderbilt University in the class of 2000 and returned to Los Angeles where she pursued a career specializing in the licensing of wireless content for the entertainment industry. She quickly advanced from FOX to Disney to Sony. Her last position was with Sony Pictures in 2009 as a Senior Manager. 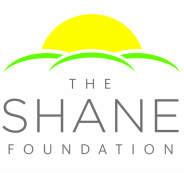 Like many thousands of young women, Shane was prescribed the contraceptive drug, Yaz, (or Yasmin, Ocella) which is manufactured by Bayer and contains synthetic progesterone. FDA hearings in 2012 revealed that Bayer was aware that these drugs produce an elevated risk of severe side effects, including deep vein thrombosis, pulmonary embolism, stroke and heart attack. The FDA’s own study found a 74% increased risk of blood clots. In January 2009 Shane noticed a swelling in her left thigh which prompted her older sister, Robyn to call a dear friend who was a cardiologist. His quick response no doubt saved Shane’s life when he sent her to the emergency room where she was diagnosed with deep vein thrombosis and pulmonary embolism (a blood clot that forms in the leg and becomes life-threatening when it travels to the lung). 25,000 similar cases are expected to be filed against Bayer and there have been at least 100 deaths. Shane never fully recovered from the effects of this episode, but she resumed her career and became engaged the following August. Her wedding took place May 9th, 2009 and she joyfully became pregnant in July. Shane and her family did not know that clotting disorders can be inherited or acquired. They were never told that pregnancy is normally a “hypercoagulative” state and that this can greatly increase the risk of a thrombotic event during pregnancy. The risk of developing a blood clot is 4 to 6 times more likely in pregnant women. They, like most people, were totally unaware that clotting issues can also endanger the health of the fetus. One type of Thrombophilia, APS, is known to contribute to 10-20% of repeated pregnancy loss. Thrombophilia can cause clotting of the placenta, preeclampsia, placental abruption and fetal growth restriction. RESEARCHERS HAVE FOUND ONE OF THESE FORMS OF THROMBOPHILIA IN ABOUT HALF OF TOTAL MISCARRIAGES. The likelihood of clotting increases greatly following birth and particularly, following C-section surgery (3 out of 10 women have a C-section). The worst case scenario occurs when doctors are unaware that a life-threatening clot has formed in a vital organ such as the lung, heart or brain. BLOOD CLOTS ARE THE LEADING CAUSE OF MATERNAL DEATHS IN ALL PARTS OF THE WORLD AND PULMONARY EMBOLISM IS THE LEADING CAUSE OF MATERNAL DEATH IN THE UNITED STATES. Shane’s doctors took the precaution of prescribing a prophylactic blood-thinner that was supposed to guard against clot formation. However, in women with thrombophilia, (clotting disease), this medication may not work. These women may need a higher dose to keep them and their babies safe. There are specialists and clinics around the country that treat these women during pregnancy, but most women and their doctors don’t know that these facilities exist and often don’t realize there is a problem until they experience a miscarriage or stillbirth. Unfortunately, many obstetricians are unfamiliar with treating thrombophilia. Shane’s story is an excellent example of just about everything that can possibly go wrong with a clotting disorder during pregnancy. Shane was taking the contraceptive drug YAZ, which likely caused her initial deep vein thrombosis and pulmonary embolism. 18 months later she became pregnant. Everyone, including her doctors assumed that the blood-thinner medication was working. Natural coagulopathy increases at about the 16th week of pregnancy, for all women. For Shane, and other thrombophilic women, this can be a dangerous time if doctors don’t recognize when prophylactic blood-thinners are not working. These women may need a “therapy” level dose to counteract clotting. Around the 16th week, Shane began having relentless headaches. It took another 6 weeks to diagnose these as a cerebral venous thrombosis, a blood clot in the brain. There are special fetal scans that can detect some fetal clotting conditions such as restricted umbilical blood flow and placental clotting, but none of these were used to track the health of Shane’s baby. Around the beginning of her seventh month, Shane was prematurely released from the hospital so doctors had no idea when Shane’s baby died, or even that he was in any distress. Had they known, could the baby have been saved? Shane was removed from the blood-thinners that were needed to treat the CVT for 48 hours longer than necessary, while doctors performed a C-section – an extremely high-risk procedure for women with clotting disorders. During this critical time, no one was tracking the rapidly worsening condition of Shane’s CVT. By the time doctors noticed, Shane’s previously manageable blood clot had become massive. A supposedly harmless contraceptive drug had initiated a clotting disorder leading to a series of events that cost Shane her health, her child and her life. She was 31. While an exact repetition of this terrible story would be a rare event, the individual parts of it are not at all rare. Maternal/Fetal clotting disorders are responsible for countless pregnancy related health issues. More research is necessary and improved treatments must be developed.